Advanced high performance scientific racing diet. Creatine enhanced and with high grade vitamins. Chelated trace minerals for improved bio-availability. Contains premium quality chicken, fish, rice, corn and selected vegetables. Formulated to give supreme quality and performance. The following table is a rough guide to the amount of Australian Formula that should be fed. This assumes that a dog is given a breakfast consisting of 2 weetabix or two small slices of brown bread with milk or other liquid. Weigh the amounts outlined in the table dry out of the bag. Add an equal weight / volume of water and soak for 20 minutes before feeding. It is simple as that. This is the big psychological hurdle that trainers have to overcome. 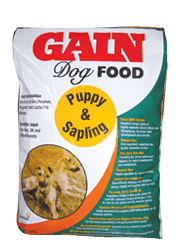 For many years’ people have been used to complete dog foods or traditional home made diets that require the addition of large amounts of meat before they are able to function as fuel for racing dogs. With Australian Formula this is no longer the case. Our food is so well formulated and balanced that the addition of meat will not improve it all. In fact, once you go past a couple of ounces of meat you start to reach a situation where imbalances occur that will have an unwanted effect upon performance. Our advice on meat is simple. don’t add it to Australian Formula. If you insist on doing so, try to add less than 2 ounces per day. Hydration or getting enough water into the dog is a very important issue – vital in fact if top athletic performance is required. The adding of an equal weight or volume of water to the dry food given and by adding milk or an other liquid to the breakfast is a major step towards achieving correct hydration. Fresh water should always be available as well. 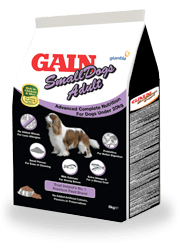 For hyperactive dogs add about 3 ounces of food to the main meal per day above the recommendations set out in the feeding guidelines above. 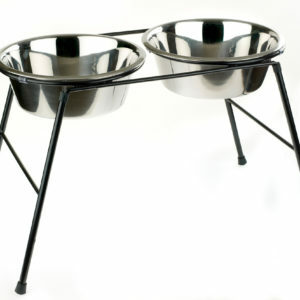 To take off or add 1LB weight to a dog, add or subtract 2 ounces of food per day for one week. Weight variation (or hopefully the lack of it) is very important. Dogs weight going up or down a large amount between races is a huge obstacle to peak performance. 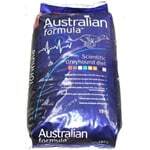 Use Australian Formula accurately and this is very unlikely to happen. A dog changing its weight by 3LB is equivalent to a human athlete changing weight by about half a stone between races. No serious human athlete would allow this to happen. These feed guidelines apply to dogs kennelled at 12 degrees centigrade or above. 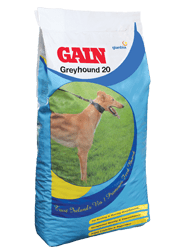 In colder conditions with unheated kennels feed amounts must be increased.